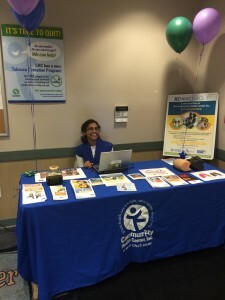 My name is Priti Shah, and I am partnered with Community Health Center (CHC) for the upcoming year to promote Access to Care and Wherever You Are programs in Danbury, Connecticut. I am from Sumter, South Carolina and attended the University of North Carolina at Chapel Hill. After graduating with degrees in Biology and Spanish, I worked as a medical assistant and volunteered as an EMT in Durham, North Carolina. With passions to pay-it-forward and engage with my cultural roots, I served as an Indicorps Fellow in India and embraced the Indicorps motto, “service for the soul” to strengthen Palliative Care Mysore, a community-based palliative care program. To continue to pay-it-forward and understand holistic care in United States, I joined AmeriCorps’ Healthcorps program with Community Health Center. I am excited to engage with the community and continue learning to prepare for a future career in public health and medicine. I hope to demonstrate perseverance and value-based leadership I learned from running and Indicorps. With inspirational support from others and personal determination, I look forward to the upcoming year!